The automobile manufacturing industry places high demands on suppliers with regard to process reliability, quality and efficiency. To meet these challenges, a preeflow customer had to optimise his application of a two-part sealant to make a form-in-place (FIP) gasket. In his previous process, the dispensed sealant bead exceeded the tolerance limits at the point where the gasket loop completed and the sealant overlapped itself. In addition, a key process variable – the material dispense pressure - could not be monitored during application. The result was a high reject rate, and poor productivity due to process variability and the resultant need for heightened and laborious QA inspection. 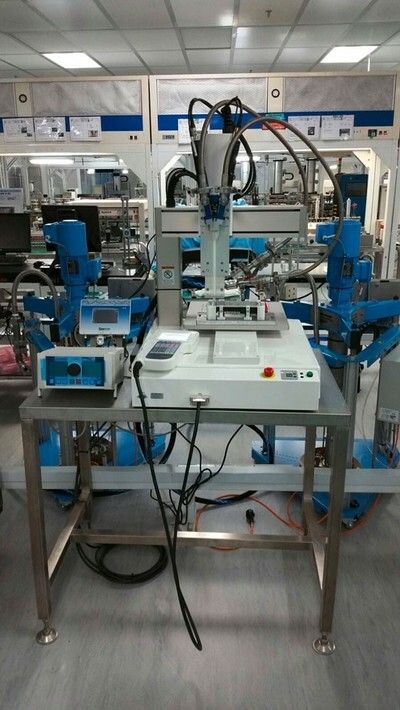 The preeflow team helped the customer to significantly improve the production process through implementation of more accurate dispensing technology. For process reliability, a two-part dispensing system from preeflow® is now used. The eco-DUO600 is a volumetric metering, mixing and dispensing unit which uses a progressive cavity pump principle to deliver precise amounts of the mixed sealant. The preeflow systems have precision control of the material output (which can be dynamically changed); this means that the FIP gasket application is very consistent along its entire dispensed path, including at the problematic area of the join. Peter Swanson, Managing Director of preeflow’s UK distributor, Intertronics, said: “Accuracy and repeatability are key concerns of our customers, and we frequently recommend preeflow dispensing systems in these types of scenarios. Whether our customers are dispensing a single-part or a two-part material, we have found preeflow systems provide a very high level of reliability combined with ease of use and real-time monitoring.” The preeflow eco-DUO system, which operates using the endless piston principle, along with the flowscreen pressure monitor, provide a repeatable and stable dispensing process. The system combines the benefits of reduced material costs with improved product quality.